Description: A 3-column, widget-ready theme based on the Half-Life game series. Requirement(s): This theme requires you to keep the author’s credit link. 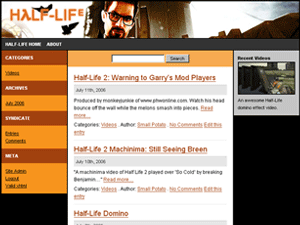 Half Life is a custom theme modified for public use. If you use this theme, remember to replace the banner; it’s 728 by 90 pixels.